MacBooster 2 Review - What should be improved? I noticed that IOBIT has released the MacBooster 2 on the 27th of August of 2014. This is an improved version of the MacBooster 1. It is an all-in-one mac cleaner software. What does the term all-in-one software for Mac mean? If we check Iobit, we can read the following: MacBooster 2 is an all-in-one system optimization and protection application for Mac which offers a number of features to boost, clean, and secure Mac. It releases RAM and re-organizes startup items to make OS X run faster. It can clear out unused files to free up hard disk space, protect Macs against the growing number of Mac viruses and malware, and help get rid of 3rd party applications that cannot be uninstalled easily. It’s the ultimate tool to clean and boost Mac easily. Is the MacBooster the ultimate tool and the best all-in-one mac cleaner available? This is something I’m not sure about. Internet is these days a dangerous place, riddled with potential malicious attack on compromised web servers. No computer system including Mac is completely immune to it. So, I was pleased to read that the MacBooster 2 got an expanded malware database to detect and remove hidden malware, spyware, malware, and other online threats like phishing attack, including the frequently discussed Genio virus application. This should secure Mac users’ personal data and privacy. Nevertheless, Iobit does not mention which anti-malware engine it uses. More importantly it has never been tested by an independent organization like AV-Test or AV-Comparatives. If I would talk about an ultimate tool for mac, a certified independently tested anti-malware ought to be included. Even better, the best mac antivirus software is as a standard embedded in a well-equipped mac cleaner. Is this wishful thinking? Not really, funny enough the most zealous competitor of the Iobit Macbooster is the Kromtech Mackeeper. In this complete mac software solution is embedded the best internet security available for mac. Sure the MacBooster 2 is an improvement compared to the first version, in comparison with the Mackeeper the track record is bleak. The Mackeeper is not a new bee on the market of mac cleaners. 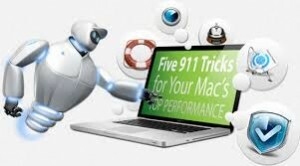 In fact, the original makers of the Mackeeper, Zeobit, were visionaries with regards to the future need for a complete mac internet security solution. Ostracized in the beginning currently, now lauded by independent research organizations as AV-Comparatives. 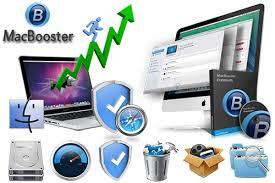 The Mackeeper offers better protection then the MacBooster against online threats. For me this is a crucial point. This is something which Iobit easily could tackle by incorporating the Mac antivirus software engine of Bitdefender. Iobit has a cooperation with Bitdefender. A major improvement for the MacBooster would be to incorporate the anti-malware technology of Bitdefender for Mac. Then we have a real competitor for the Mackeeper. Therefore I believe the future is quite bright for this relatively new MacBooster. They are heading in the right direction. I’m wondering why MacPaw with their famous CleanMyMac 3 is slagging behind…..or? Are you looking for an Android booster? Yep, there are programs that help to boost the performance of your Android device by rooting it. For more info: Why should I root Android? Pingback: Why would I need the best mac antivirus software? Pingback: What is the Mackeeper 3.0 Human Inside?